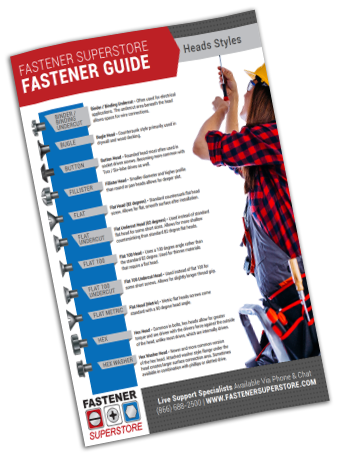 Check out our detailed new fastener guides below. Beginning with screws, these comprehensive guides provide all the information you need to understand the parts that we carry. Our first guide explains all of the rules for finding accurate measurements for screws and bolts. Our second guide provides in-depth information about the many different screw point and thread styles. 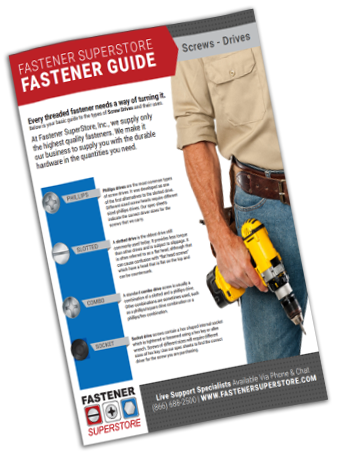 Next, we offer guides covering the multiple head and drive options available at Fastener SuperStore. 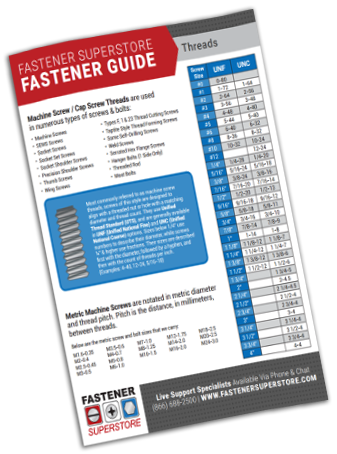 In the coming months, we'll be adding more fastener guides focusing on bolts, nuts, rivets, standoffs and more. Each guide includes a link to a downloadable pdf version. 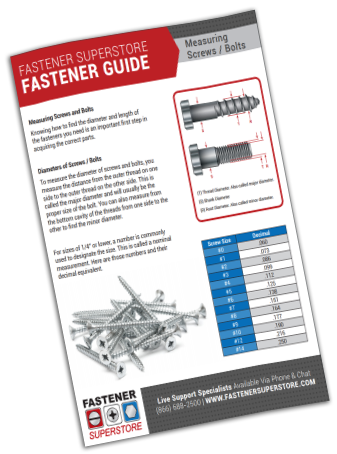 Knowing how to find the diameter and length of the fasteners you need is an important first step in acquiring the correct parts. A wide variety of screw styles have been developed over the years. The defining element of most of these styles can be found in the shaft, or body, of the screw. Different thread layouts and unique tip shapes are required for different applications. Every screw and bolt has a head that is unique to it's intended function. This is your basic guide to head styles and their uses. Every screw and bolt requires a tool to turn, drive and install it. This is your basic guide to drive styles and their uses.